Aspen’s glamorous dinner scene gets a new addition this year with the launch of EMP Winter House, in partnership with American Express. 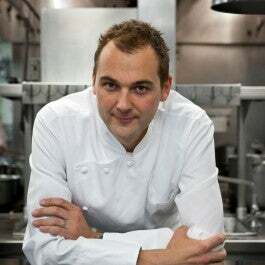 Sure to be the most coveted dinner reservation in town, diners will be clamoring for Chef Daniel Humm’s Eleven Madison Park-twist on classic Swiss dishes. Elite Traveler flew to Aspen for the opening to speak with Humm about how unique the restaurant is and his inspiration behind the menu. One of the reasons pop-up restaurants at this caliber are so rare is that it is difficult to offer guests consistent service with a seasonal staff. Many chefs, Humm included, only open pop ups when their restaurants are closed for renovations so they can keep their staff employed, which is what led to opening EMP Summer House in the Hamptons in 2017. After its immediate success, everyone — guests and staff — began to ask Humm and his business partner, Will Guidara, if they would do it again. “It turns out that living on the beach was quite nice,” joked Guidara. 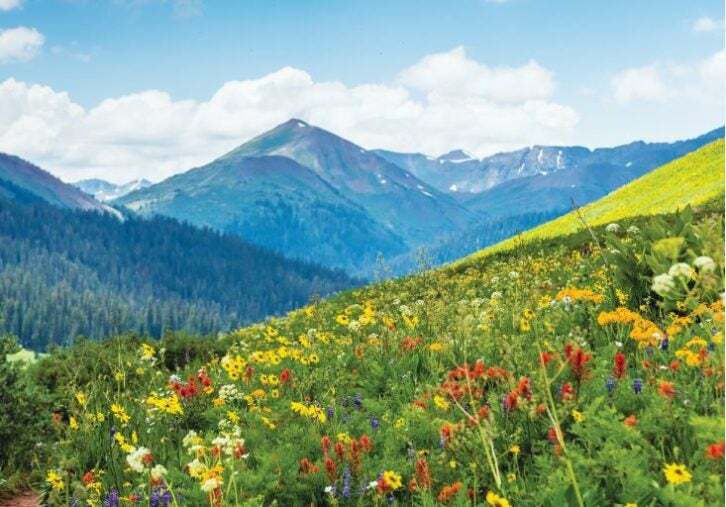 And since the Hamptons is one of the world’s hottest summer destinations, they naturally thought of its winter equivalent: Aspen. Having one restaurant in two places with a traveling staff allows them to create a unique experience in each, while maintaining an elevated dining experience. Humm felt strongly that he did not want to recreate Eleven Madison Park in these locations. Not only does he feel creatively fulfilled in New York, but he knew that three-Michelin-starred cuisine is not what he would want after a day snowboarding (Humm snowboarded the extreme Highlands Bowl the day of the opening, which does not have a chairlift: You have to hike to the summit carrying your board). And what would he want after accomplishing such a feat? The dishes from his Swiss childhood in the mountains, which he has never cooked professionally before, despite pleas from Guidara. On the menu at EMP Winter House, you’ll find veal schnitzel, whole roast chicken, beef stroganoff and potato rösti: all things that transport Humm back to the Swiss Alps. Opening the restaurant seems to bring Humm back further into his childhood than his other culinary pursuits, even recounting a story that his business partner of over a decade had never heard, telling me how he would stand outside his family home at lunchtime and try to guess what his mother was cooking based on the scent wafting outside the house. His favorite dishes fill the menu, including a special Veal Zurich-Style with mushrooms, onion and cream sauce that only appeared on the menu at opening night when reservations were exclusively available to American Express Platinum cardholders through its By Invitation Only program. (If you weren’t there, don’t despair — the regular menu has Chicken Zurich-Style.) Guidara tells me that he has spent years trying to convince Humm to cook the food he grew up with. But it never felt right to Humm until Aspen. What struck me most about the dining experience was how right Humm was about the food. After a day on Aspen’s challenging slopes, I didn’t want to be at Eleven Madison Park. I wanted to be eating Swiss comfort food accompanied by perfectly paired wine, then retiring to the yurt village for spiked hot chocolate. 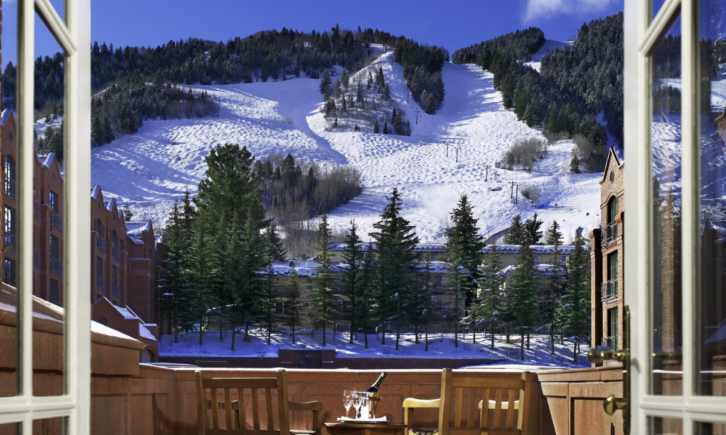 Or perhaps I would want to skip Aspen’s club-inspired après-ski scene and book a yurt to enjoy a thermos of bone broth, a Humm Dog (a bacon-wrapped hot dog with Gruyère and celery relish) and cheese fondue with friends. His humility and his lack of pretension is striking. Many chefs wouldn’t be able to separate themselves from what made them famous, and would want to impose their vision of fine dining on guests regardless of the destination. But as an avid snowboarder and all-around-cool person, Humm is able to leave that behind, give guests exactly what they want and leave them wanting more. EMP Winter House is open until April 6, 2019 and is located at Chefs Club at The St. Regis Aspen. Reservations are exclusively available to American Express card members, which is the only method of payment. To make a reservation, please visit empwinterhouse.com, or Platinum card members may book through the Platinum Concierge.